"Route à Bievels". 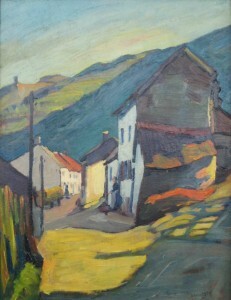 Nico Klopp, Oil on canvas, 1930, private collection. The impressum is only available in Luxembourgian, French or German.